It is a selective beta-2 agonist that is used to stimulate the beta-receptors in fat and muscle tissue in the body. Clenbuterol exhibits most of its effects on the stimulation of both type 2 and 3 beta-receptors. It is very effective in helping to burn bodyfat. 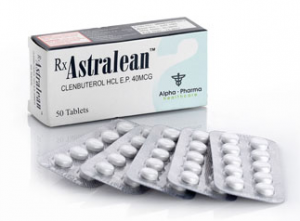 Clenbuterol is also effective in increasing muscle mass and decreasing fat loss. The product generally comes is 40 mcg tablets.